It has been a great opportunity for crafters to share their creations with you, however, because of an upcoming wedding and various family events, no new projects can be taken on at this time. Let us make it for you! 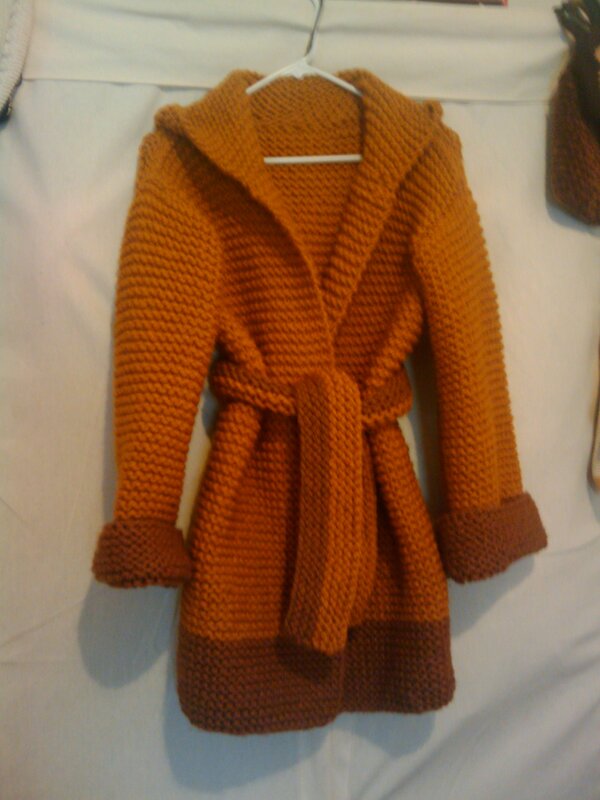 Quality custom hand knit or crochet items for you, for her, for him, for kids, or for baby. Hand made with love and care! Over 25 years experience! * Pick your own colors or style! 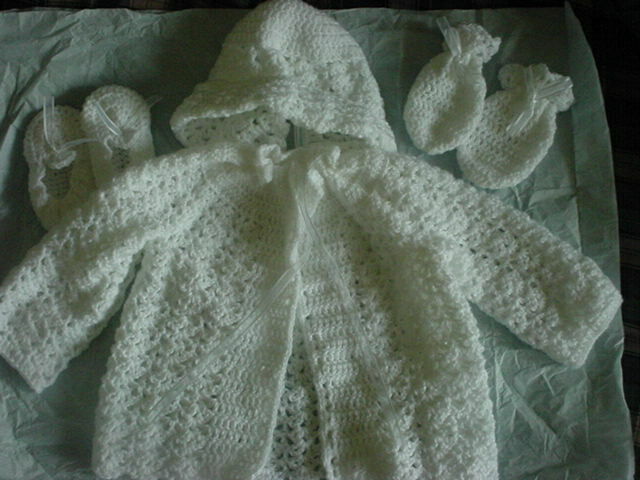 Browse through treasured keepsakes created for others or our store for more info. All work is guaranteed and comes with a lifetime warranty. Guaranteed to be a treasured keepsake to enjoy for generations. 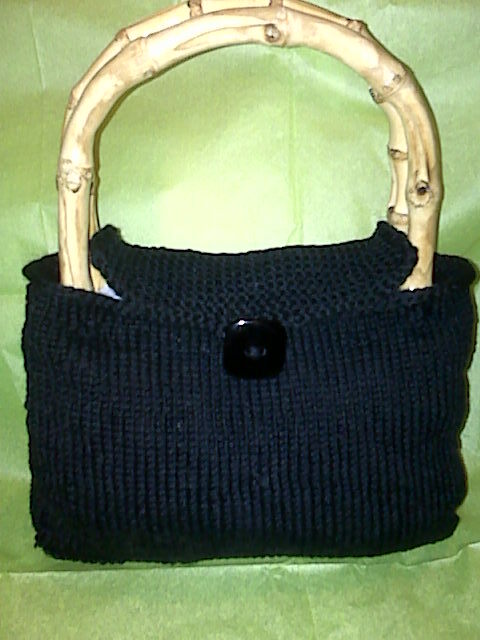 This purse was hand knitted with Patons Grace Cotton Yarn using a combination of garter, seed and stockinette stitches and completed with wood naturals handle, along with button (not shown) for enclosure. 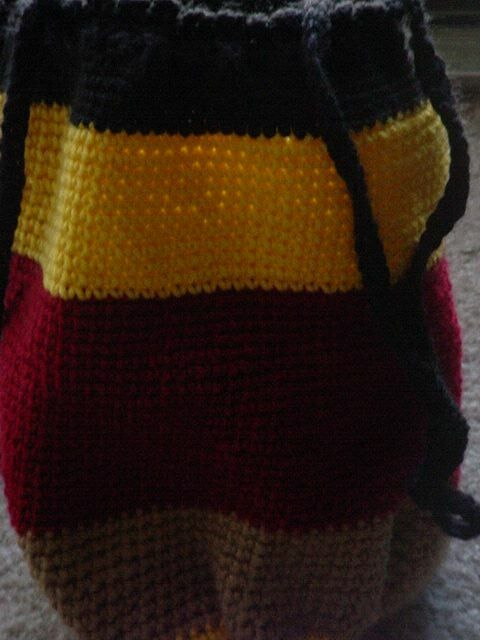 Purse is 9 x 9. 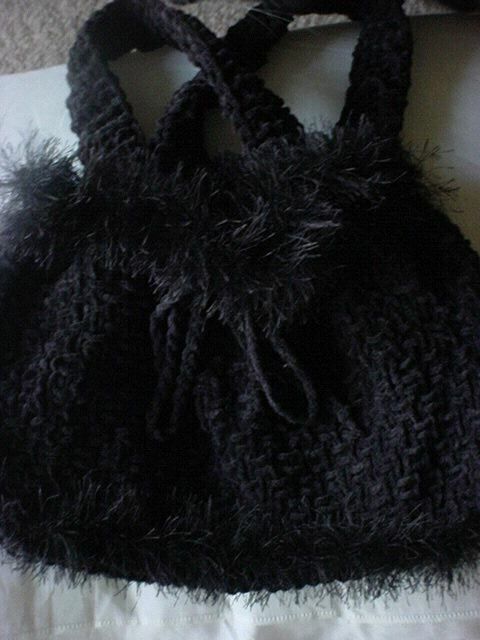 This hand knit purse was made with LionBrand black/ebony suede yarn using a linen stitch pattern with LionBrand faux fun fur yarn for top and bottom edging. The draw string was optional. 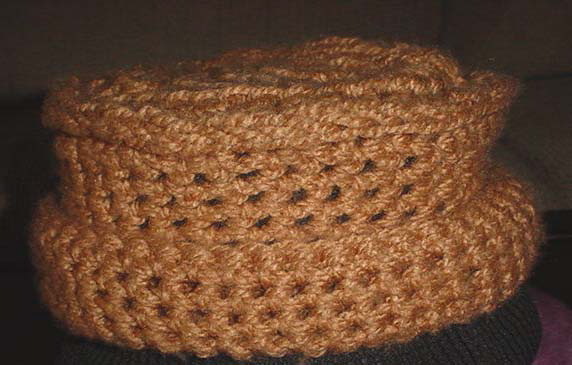 Different yarn types (sport weight, winter, thick and chunky, summer cotton, etc.) can be used for this purse style. 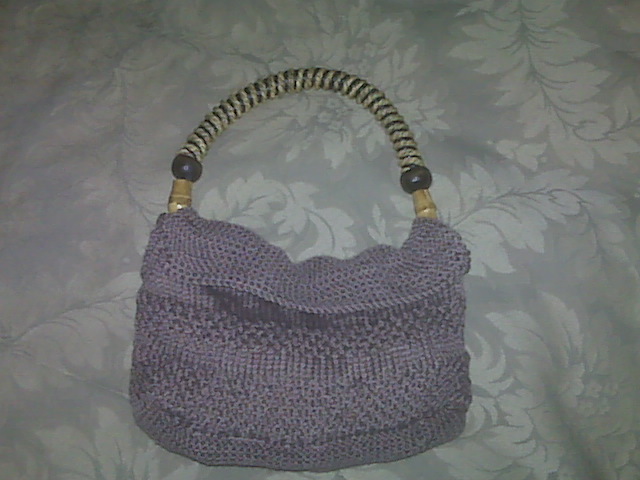 Fun crochet tubular tote with pico edging. Pick your own colors, including spring/summer and fall/winter yarn colors. 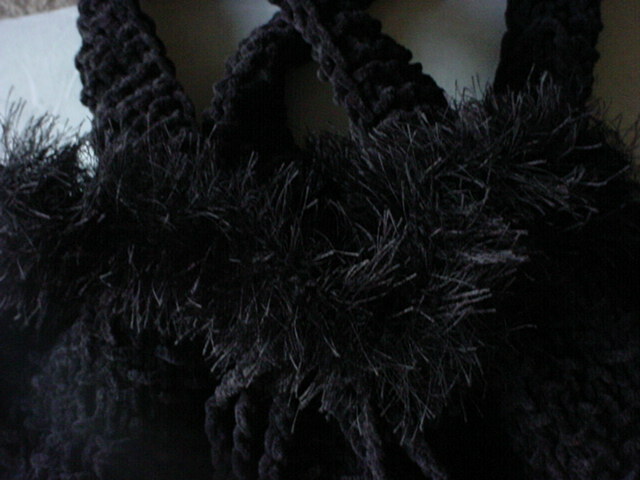 Can be worn in a variety of ways: across shoulders, as a backpack. Fun everyday, sturdy tote. Size is approximately 11" (inches) high and 6" (inches) wide. 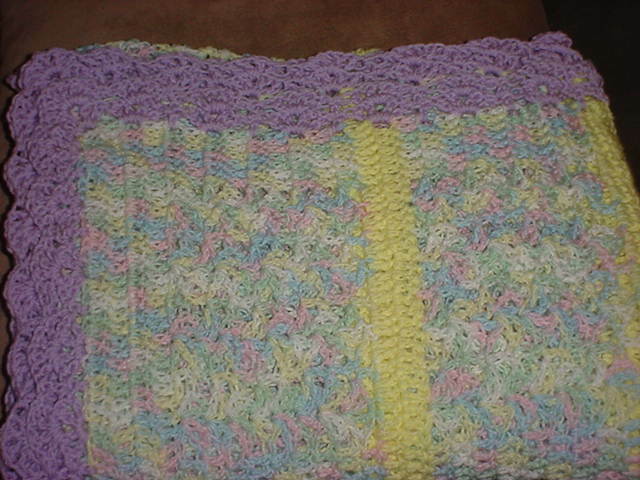 Machine washable/dryable.